people have a somewhat foggy idea of how they work. later. 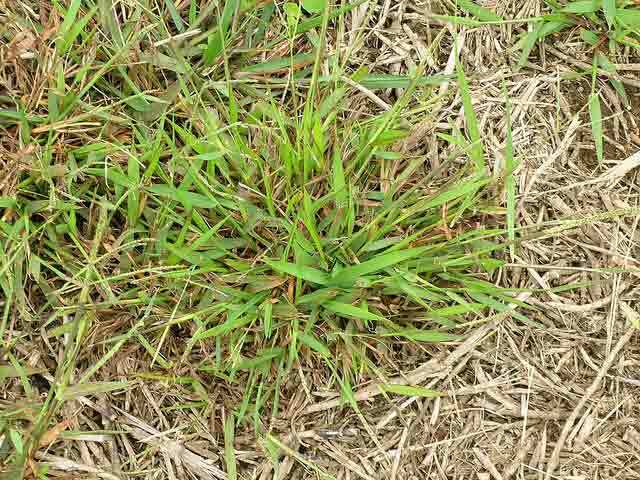 April 15 is a good target date for applying preventer because it gives active ingredients time to evenly disperse in the soil before crabgrass germination starts. The April 15 target works well for most of the state. common name rather than the trade name. The common chemical name for Dimension is dithiopyr and for Barricade is prodiamine. Remember, when using Any pesticide, read the label and follow instructions carefully. We recommend crab grass preventers be applied before fertilizer so that the grass isn?t encouraged to put on too much growth too early. However, it may be difficult to find products that contain pre-emergents without fertilizer. Those that don?t contain fertilizer are listed below. Pendimethalin – Scotts Halts Team (Benefin +Trifluralin) Hi-Yield Crabgrass Control Dimension- Hi-Yield Turf &Ornamental Weed and Grass Stopper- Bonide Crabgrass &Weed Preventer- Green Light Crabgrass Prevente.